Rithm combines Bloomberg’s data visualization expertise with the speed audiences demand, quickly transforming performance data into custom animations right after U.S. markets close. High-quality, turn-key production delivers essential market information to finance-focused audiences when they need it most in a visual, accessible, engaging format. 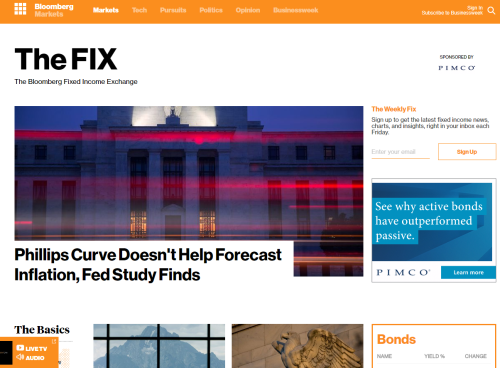 Rithm video is deployed after market hours via Bloomberg.com, Bloomberg Television, apps and Twitter for easy sharability and brand alignment across platforms.